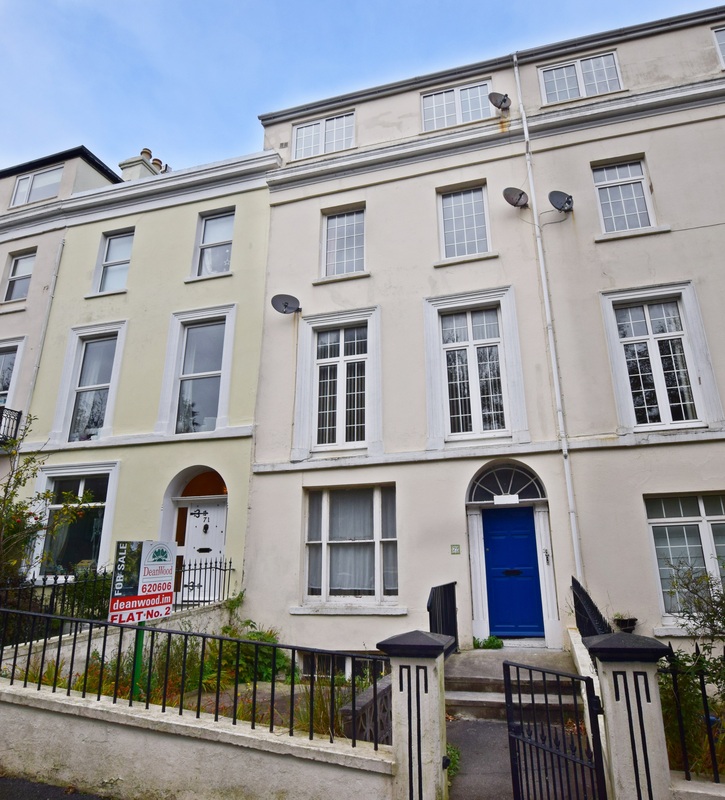 This ground floor flat is located in a block of 4 flats in one of the most sought after and convenient areas of Douglas, with lovely views overlooking Derby Square. There is a small garden area to the front and small yard area to the rear. The property is sold as seen. 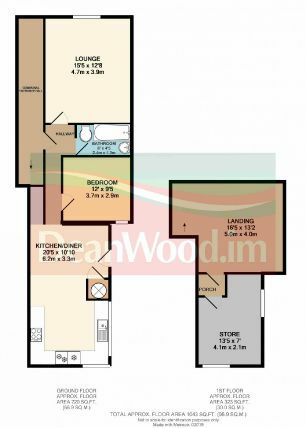 The price is to include the fitted floor coverings. 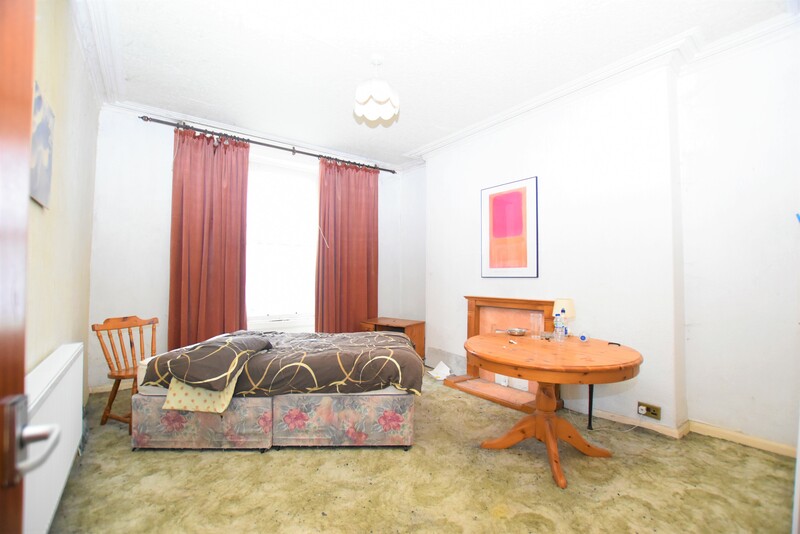 The property can be approached by travelling down Derby Road turning right into Derby Square. Continue along taking the first turning on the left hand side and the property can be found mid-way along on the left hand side. 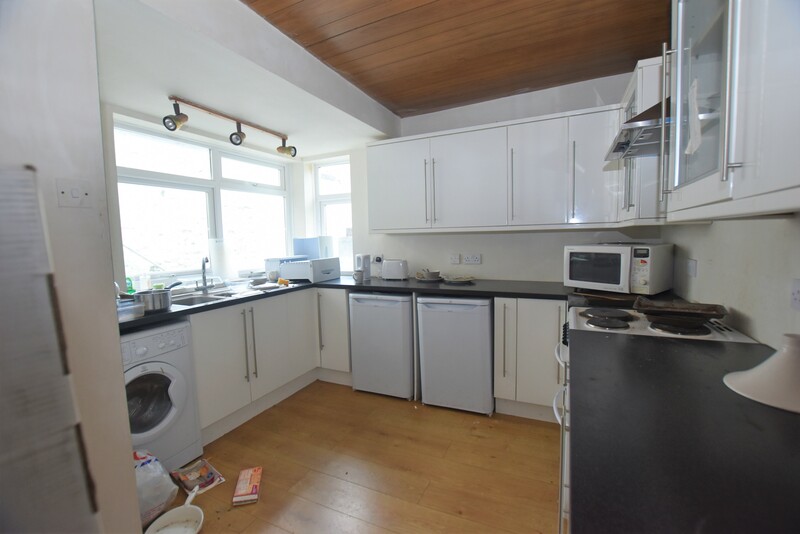 Highly accessible to all local amenities and only a short walk from Douglas town centre. COMMUNAL HALL Stairs up to the upper floors. LOUNGE (15'5" x 12'8" approx) Window overlooking Derby Square gardens. Original woodwork to window surrounds. Coved ceiling. TV point. BATHROOM (8'0" x 4'5-" approx) White suite comprising panelled bath, pedestal wash hand basin and WC. BEDROOM (12'0" x 9'5" approx) Opaque glazed window. Original woodwork to window surrounds. Coved ceiling. Exposed wooden floorboards. FITTED KITCHEN (20'5" x 10'10" approx) White high gloss wall and base units with black laminate worktops incorporating a 1½ bowl stainless steel sink and drainer. Freestanding electric cooker with wall mounted extractor over. Washing machine. Space for fridge and freezer. Storage cupboard housing Vaillant gas combi boiler. Wood effect flooring. Door to the rear yard. STOREROOM (13'5" x 7'0" approx) 2 windows overlooking the rear yard and service lane. 1SERVICES All mains services are installed. 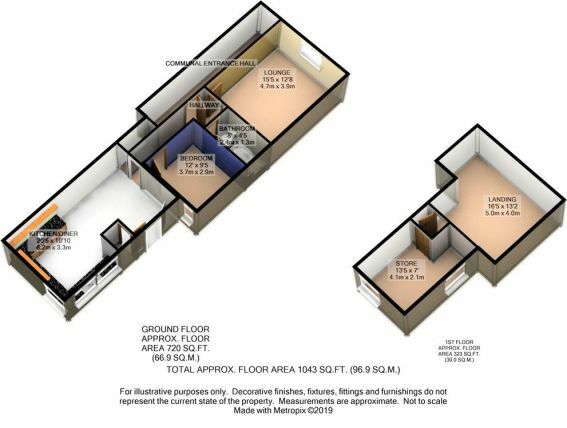 ASSESSMENT Rateable value £100 Approx Rates payable £859 (incl. of water rates). TENURE LEASEHOLD-There is an active Management Company in place which has set the current service charge at approximately £1,915 per annum.